I had a question from my friends over in France regarding the language parameters on the XFCE linux distribution that is installed when you follow my previous “How to”, How to install XFCE Linux on your Chromebook. I did some research and found that there are a bunch of forums that describe installing languages using a “dpkg locales” command. I have found this to not work on my Chromebook XFCE install. Instead I found my method below to work. This will install the gnome package manager. Once it is installed open it up from the menu in the top left hand corner of the screen. Once open you will need to uninstall chromium browser and all of its packages. You can re-install this later. Chromium causes language support to error out when it is finishing its final installation procedures. Search for “chromium” by clicking the blue magnifying glass at the top. Mark it for complete removal. It will ask you if you would like to remove additional packages, say yes. Press the green apply check mark at the top to complete the process. 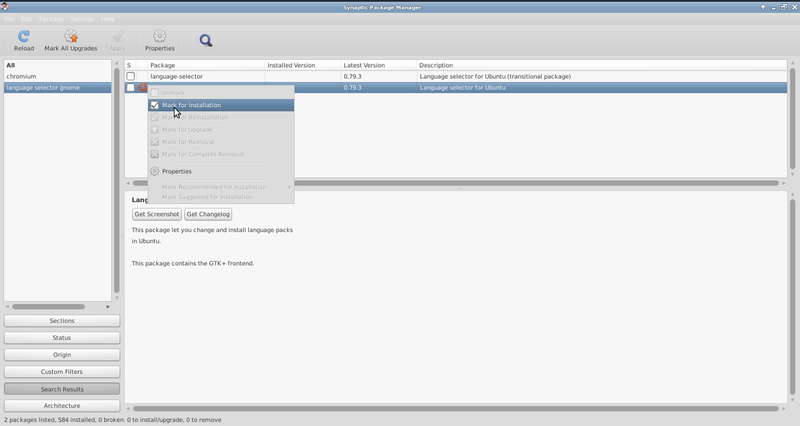 Install “language selector gnome” using the synaptic package manager. Search for “language selector gnome”. Click on the package and mark for installation. If it asks you to install additional packages, allow it. These additional packages are necessary. 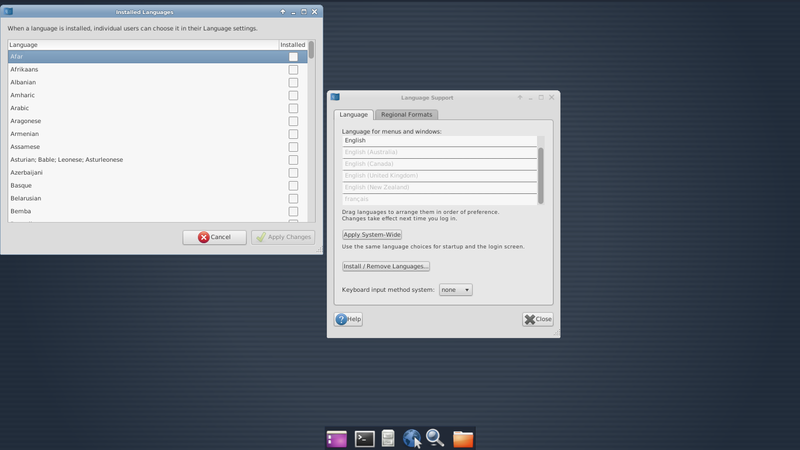 Once the Synaptic Package Manager has finished with the install open the gnome language selector. Applications Menu> Settings> Language Selector. When prompted finish the install. This will happen automatically when opened the first time. Once it finishes you can use the Install/ Remove Language menu to install your preferred language. 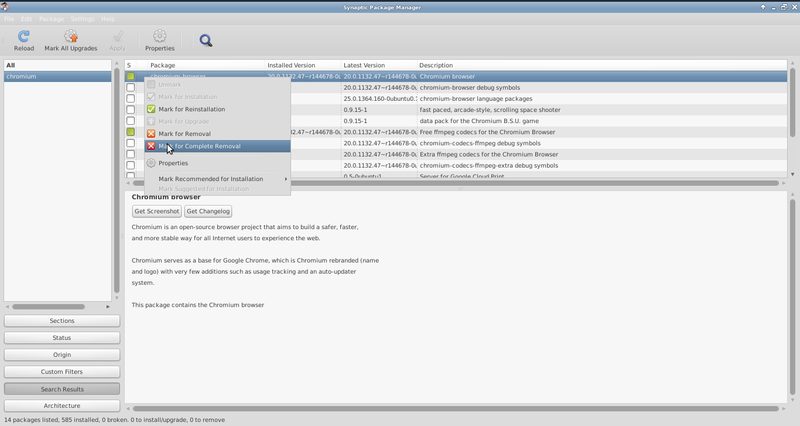 Make sure to re-install chromium when you are done or will not have a web browser on your XFCE Linux OS. As always if you have any problems please let me know in the comments section down below. I will do my best to help you in any way that I can. Make sure to hit that like and follow button on the way out. This entry was posted in ARM Chromebook, Chromebook, Chromebook and Linux, How To's and tagged ARM Chromebook, chromebook, France, gnome, gnome language selector, gnome language support, india, Language, language support, linux, Linux distribution, synaptic, synaptic package manager, Ubuntu, Xfce, XFCE Linux by James Arnett. Bookmark the permalink. Merci beaucoup mon ami !! Thanks a lot, i will install it as soon as i can! Thats awesome! I am happy that you are better able to utilize it.